Product contains milk, egg, soy, pecan, hazelnut, and wheat. Enjoy a slice of heaven with loved ones when you send them this gourmet cheesecake. 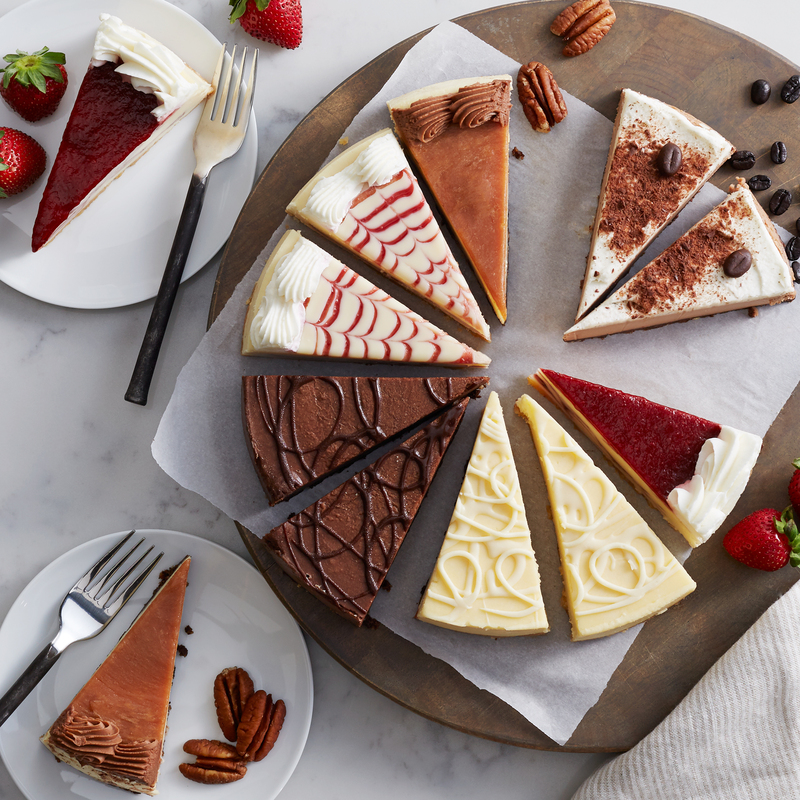 If you're looking for holiday, birthday, or anniversary gifts, celebrate with this cheesecake sampler featuring six indulgent varieties. Artfully prepared and packed for guaranteed fresh delivery, our gourmet cheesecakes come pre-sliced so it's easy to pass around and share. Wt. 3.25 lb (12 slices) pre-sliced, 9" cake. Serves 12. Ships frozen. See Shipping Costs & Restrictions for additional details.